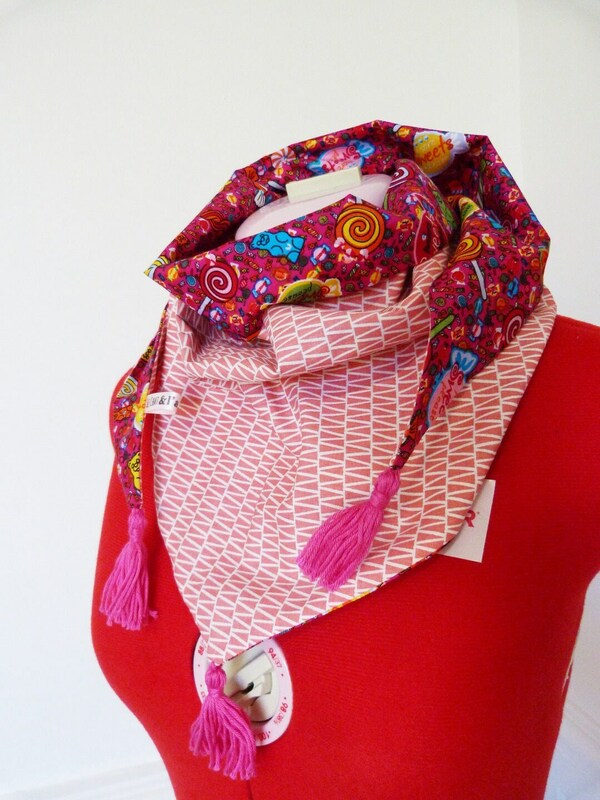 What better winter arriving as a cool breeze out scarves and bundling up in it? 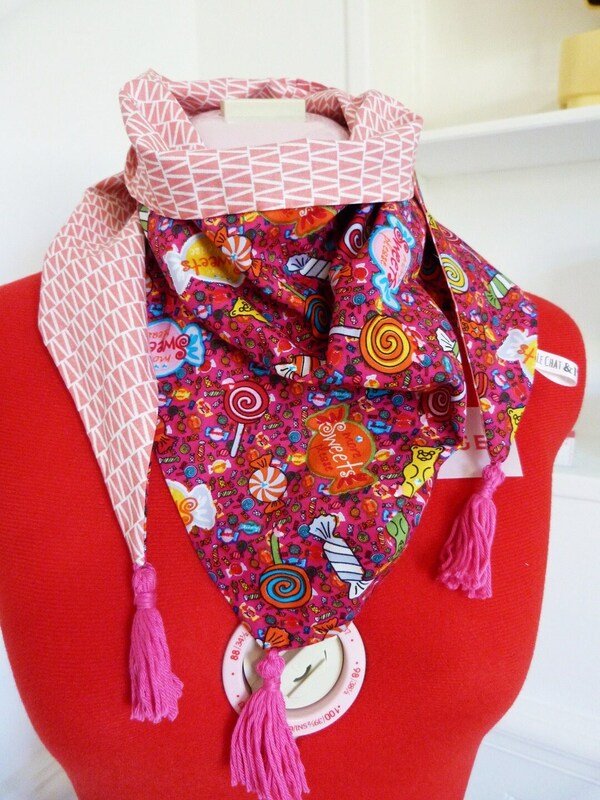 Here is a large triangle scarf with a length of 110 cm x 38 cm approximately. 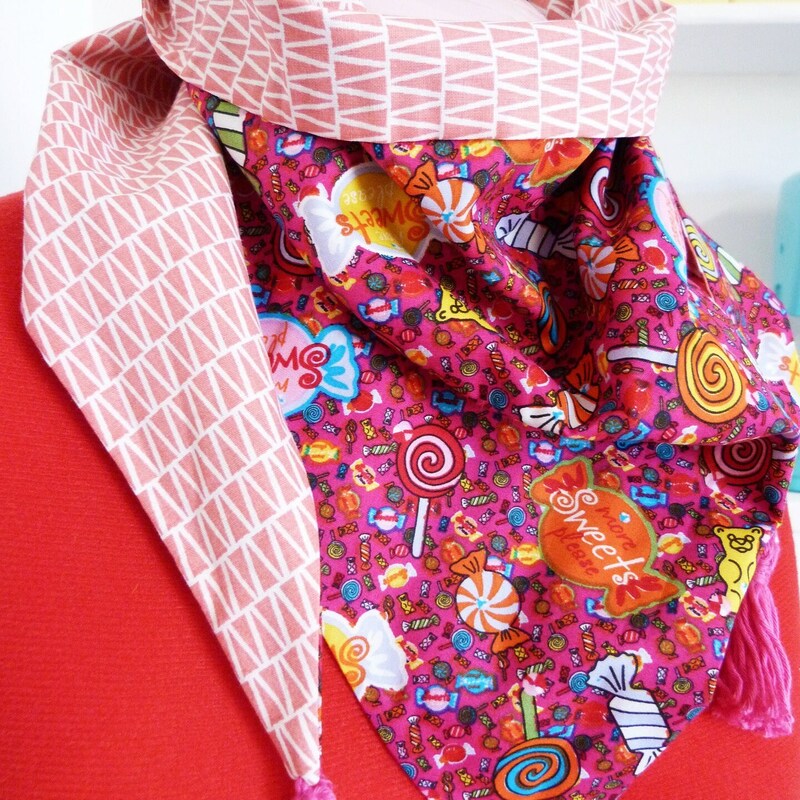 Lined, 100% cotton, one side pink geometric another candy print. 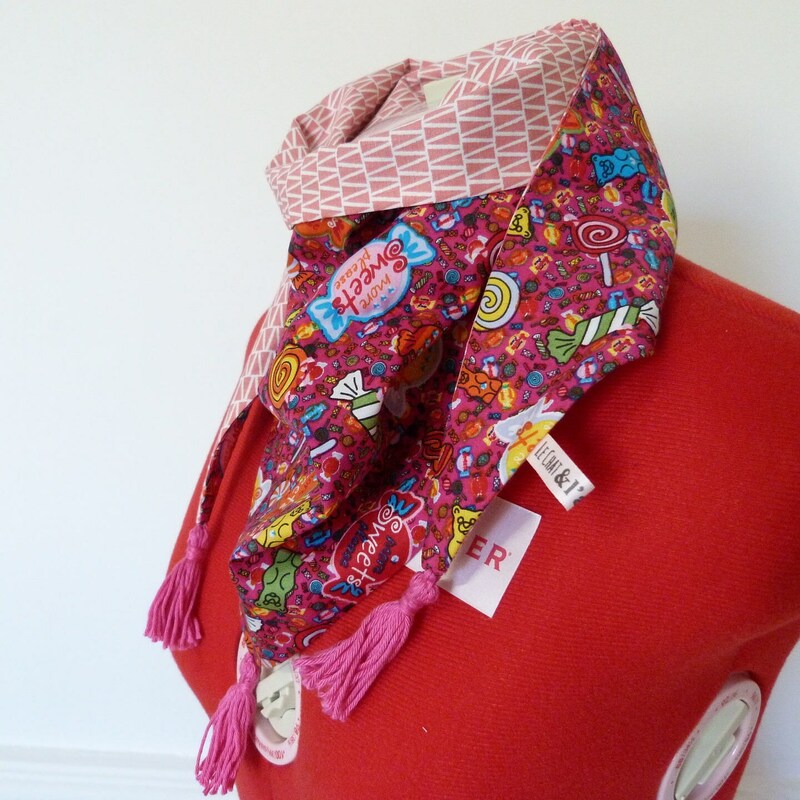 Each corner of the scarf is decorated with a matching Pompom.